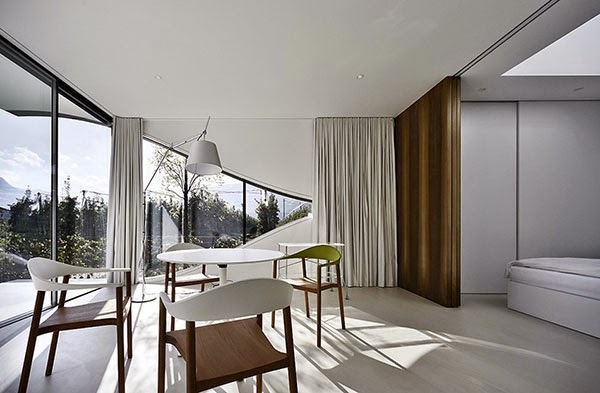 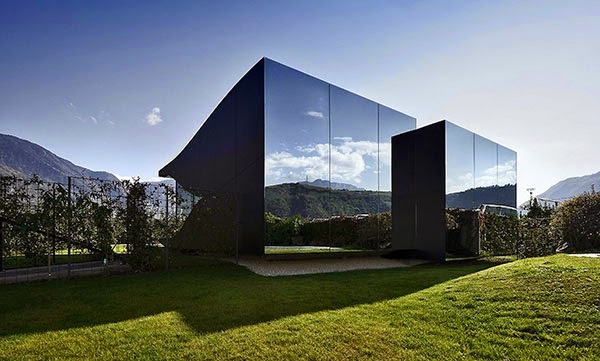 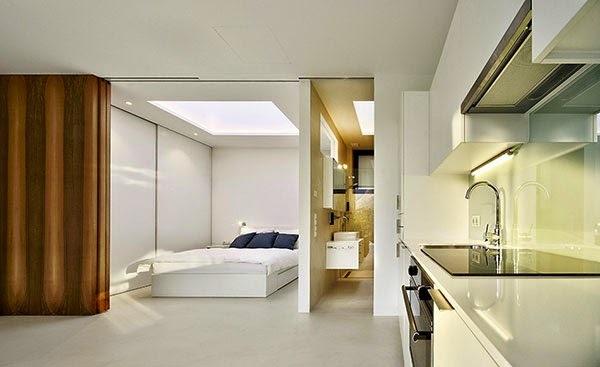 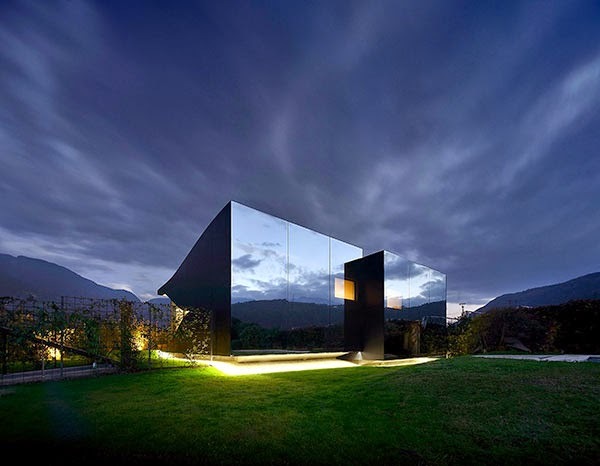 A a pair of modern holiday homes designed by architect Peter Pichler located just outside the city of Bolzano, Italy. 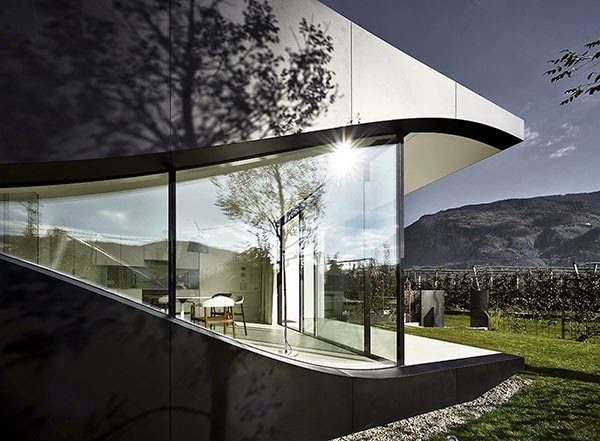 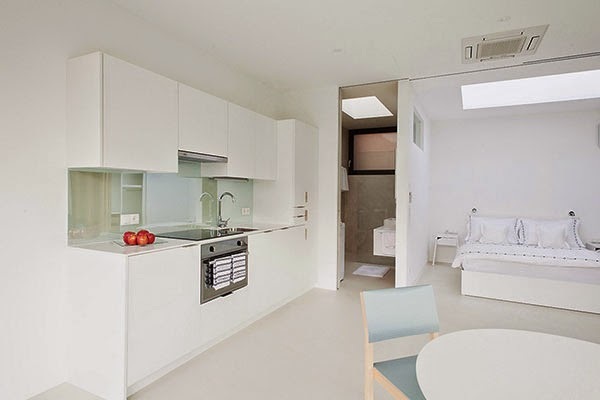 The houses are set in the beautiful surroundings of the South Tyrolean Dolomites, amidst a scenery of apple trees, and is split in two units with a different height and length to differentiate the structure. 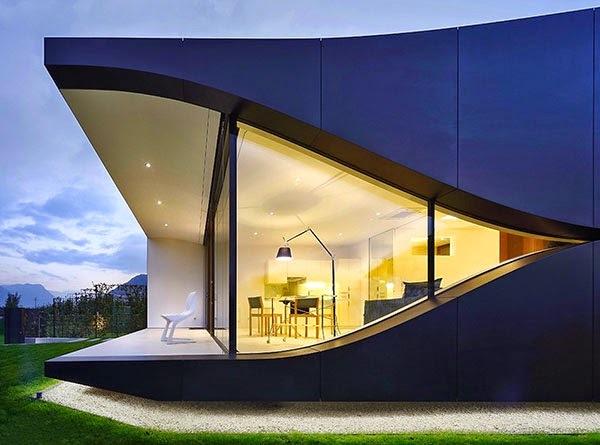 The volume opens towards east with a big glass facade that fades with curvilinear lines into the black aluminum shell. 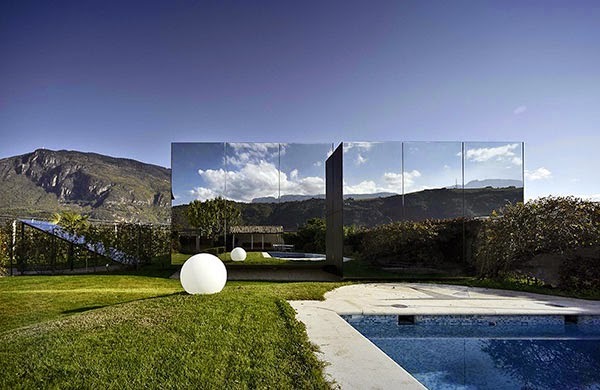 Mirrored glass on the west facade borders the garden of the client with the units and catches the surrounding panorama with pool while making the units almost invisible.